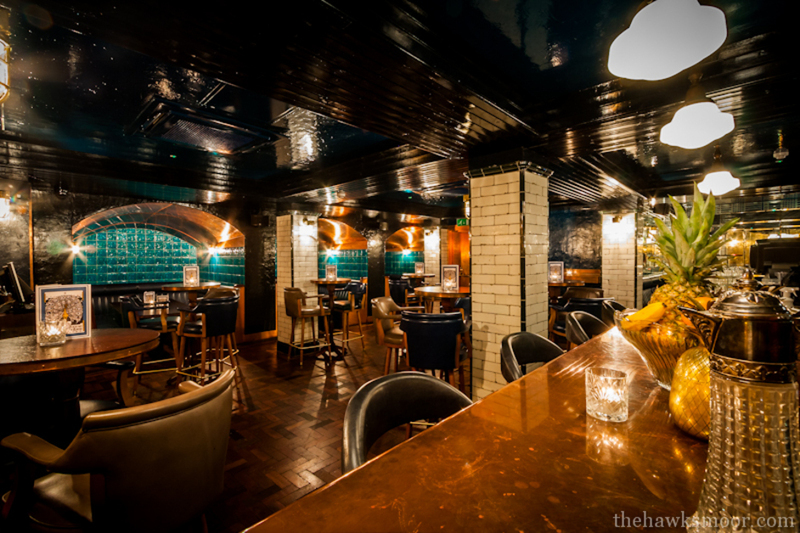 The original Hawksmoor restaurant, located in Spitalfields, has now opened a dedicated bar within its cellar. With no natural light, leather seats and industrial walls, the Hawksmoor Spitalfields Bar has a distinctive nightclub atmosphere - a nightclub with class, of course. The bar boasts a unique cocktail menu with their Ginger Brew, Nuclear Banana Daiquiri, Marmalade Cocktail and Full Fat Old Fashioned among the options. Plus, every month a Hawksmoor bartender, each of which is experienced and professional, is given the task of selecting their five Desert Island Drinks, ensuring the menu is kept fresh and exciting. The main Hawksmoor food menu isn't available in the bar but it does serve its very own selection. Diners are treated to shortrib nuggets, burgers, dogs, lobster rolls and poutine. While desserts are enticing with a chocolate caramel cup, peanut butter shortbread, salted caramel rolos and sticky toffee sundae. Hawksmoor Spitalfields Bar gyms, sporting activities, health & beauty and fitness. The best pubs near London Hawksmoor Spitalfields Bar. Hawksmoor Spitalfields Bar clubs, bars, cabaret nights, casinos and interesting nightlife. Where to have your meeting, conference, exhibition, private dining or training course near Hawksmoor Spitalfields Bar. From cheap budget places to stay to luxury 5 star hotels see our special offers for Hawksmoor Spitalfields Bar hotels, including South Place Hotel from 39% off.